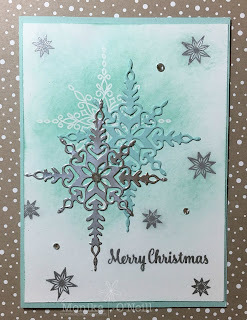 Hi everyone, todays card is made from the Star of Light Christmas Bundle, which was CASED from Claire Daly from www.clairedaly.typepad.com. You save 10% if you purchase the Bundle. The colours I used for the base is Soft Sky with a Whisper White mat. 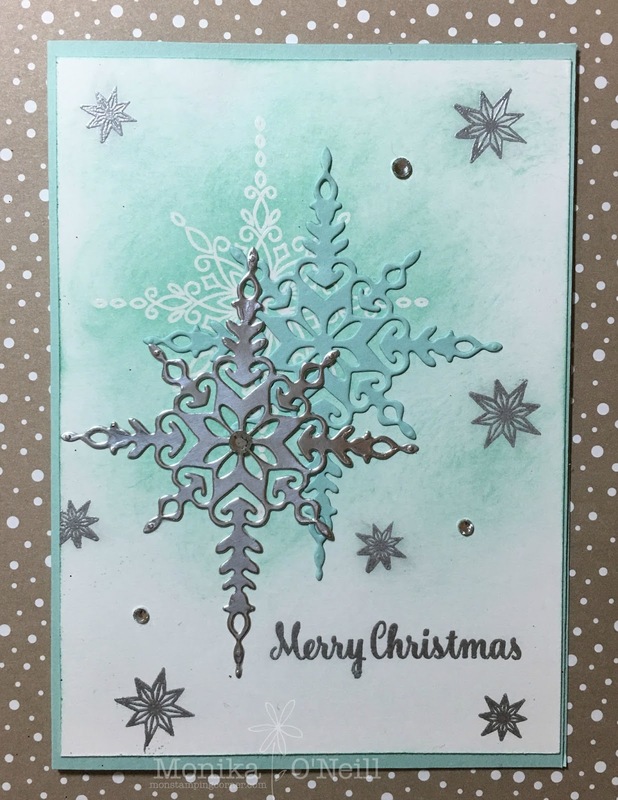 I stamped the star with Versamark and used clear embossing powder and heat set it. The background was sponged lightly using 3 colours, Soft Sky, Wisteria Wonder and Tempting Turquoise. For the stars and sentiment I stamped them with Versamark and used silver embossing powder and heat set, for the 2 stars I used Soft Sky card stock and silver foil using the die to cut out on my Big Shot and to finish off I used rhinestones, a very easy card to make but effective. Hope you enjoyed todays card, the list of supplies is below, if you need any of the items just click on the pictures and it will direct you to my store.